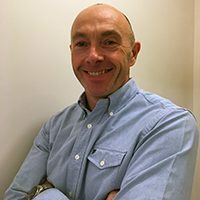 Inclement weather is always a boost for fuel services but high customer volumes, supply chain pressures and intensity of demand puts pressure on all levels of your business, reports Scott Roberts, operations and logistics director at Watson Fuels, pictured above. Despite this, Watson Fuels emerged with record customer retention figures. This success can, in the main, be put down to a resilient, flexible and responsive operations strategy. But how can organisations build resilience into their operational strategies? These are the steps we took at Watson Fuels. Know where you want to be and how you’ll get there. We want to be known for excellence, delivered safely. It ties back to our values and informs behaviour consistently – be it managing bad weather or on-boarding a new contract. It’s vital you engage colleagues in this, in a way that truly connects with their own sense of purpose. Ultimately, it’s your people delivering this, every day. Ensure they have clear lines of accountability and processes to foster performance. It’s this structure that creates the efficient network that will act as a business enabler. Right now, we’re transitioning as a business, shifting from a family-owned operation to a corporate supplier. Our parent company, World Fuel Services, has been a tremendous support on that journey. Working towards this strategy has been an ongoing process that’s required investment, a dedicated operations team and effective communications as we implement the plan. We’ve had to put our money where our mouth is. For example, a significant fleet investment means our drivers know we’re taking steps that are relevant to them – they can see the shifts, how it benefits them and our customers. They also recognise how we’re supporting their roles within this change programme. Be sure to communicate positive news too. Our commitment to invest £6m in our fleet every year supports colleague trust and loyalty, and encourages their own investment in our journey to excellence. Strong leadership is as essential as engaged colleagues. Here at Watson Fuels, an open, agile and collaborative leadership team has been a fundamental success driver. The approach is then cascaded into the organisation, and supported by management as we build in new team structures. You also need to anticipate – look ahead and be aware of potential red flags for operations. For businesses in fuel, this level of forward looking allows for good planning functionality, ensuring stock capacity is in line and you have the capability to hit those higher volumes. You can’t beat good old-fashioned engagement and we place real emphasis on internal communications. It’s critical in transitional times. For example, we make sure people are recognised and rewarded for a job well-done. The size of our business currently allows for that level of interaction between a colleague and manager. We need our colleagues to have the passion and desire to return home from a job safely. Whether it’s a hand-written note from your manager or an Easter egg box at every depot, small touches ensure your people feel valued and recognised. Celebrate success too – share promotions, new customer wins as well as customer success stories. This helps people buy into and be part of your operational vision. Your customer has to be at the core of your whole strategy; every element has to tie back to how your organisation delivers the best service it can. How you meet specific requirements, how you respond to customer requests, how you fulfil orders when other suppliers have let them down. The real shift comes when you’ve built a service-led proposition that delivers on a great customer experience. It’s this part of your strategy that will always be a work in progress – there will always be ways to innovate, and go further. A winning operational strategy can transform your business. Share goals and ownership – with your customers, colleagues and partners. It’s how you build trust, loyalty and investment in your organisation.